Jeff Wilcox works at RPI’s Clayton office. Jeff earned his doctorate degree from the University of Missouri-Columbia in 2010 and began working at RPI. He has over 8 years of outpatient experience, specializing in orthopedics, sports, and geriatric physical therapy. He has taken continuing education courses in manual therapy, kinesiotaping and trigger point dry needling. His primary philosophy to physical therapy is to not only treat the symptoms of the individual but to reach and solve the problem at the source. 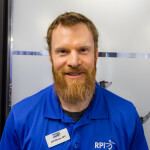 Jeff believes one of the most satisfying aspects of physical therapy is seeing patients achieve their goals, and return their previous level of function. Jeff enjoys maintaining an active, healthy lifestyle, enjoys participating in adventure sports and being a fitness enthusiast. He also enjoys playing with his dog, Steve. Emily received her Associates of Applied Science degree in Physical Therapy from St. Louis College of Health Careers in 2017 and her Bachelors of Health Science from Maryville University in 2015. 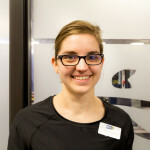 Emily enjoys working with patients to help them reach their goals by motivating and educating patients throughout their rehabilitation process. In her spare time, Emily enjoys crafting and spending time with family and friends.